There is such a bold and rustic charm to Mykonos. 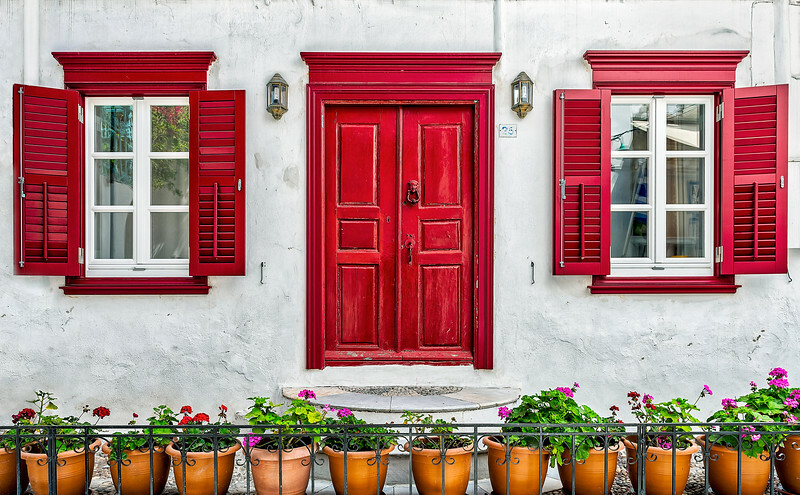 I don't think I've ever encountered more bright red doors than I did in Mykonos and Santorini. There's such beauty in the contrast of those red and blue doors against the stark white buildings. I couldn't pass up this beautiful entrance lined with clay flowerpots.